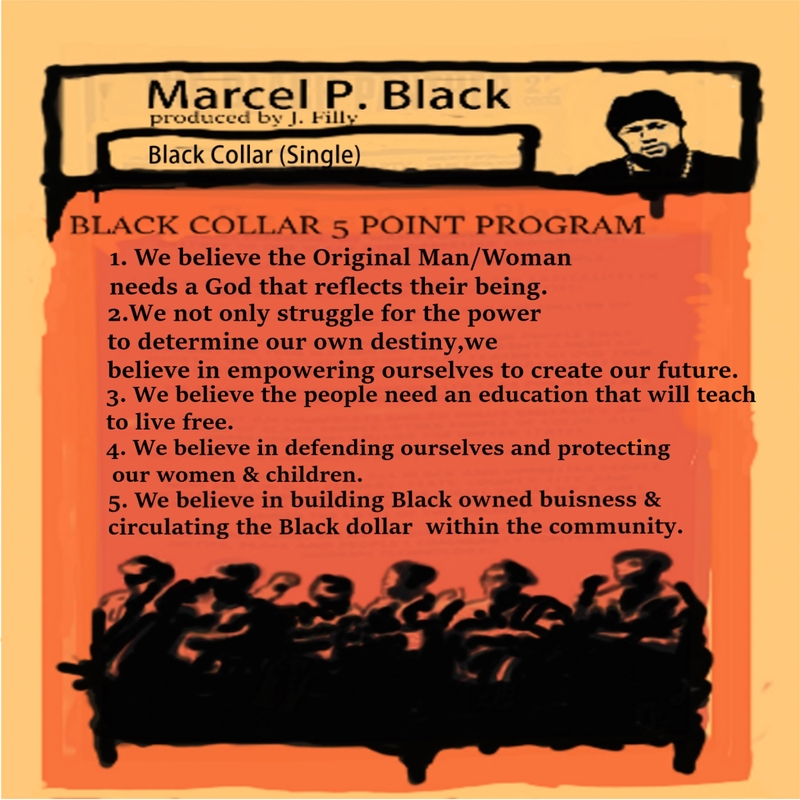 Marcel P Black described his forthcoming album Black Collar as more about being a conscious brother trying to do right by my family, my community, & finances. The album is dropping on November 28th, also known as Black Friday to you victims of capitalism. Put this album on your Christmas list and provide a copy to all your friends. It is the gift which will keep on giving. Below you will find the lead single and title track “Black Collar”, produced by Chi-town producer J Filly. The Oklahoma born, Baton Rouge resident breaks introduces us to his definition of Black Collar on this head nodding track. While you are waiting on Black Collar to drop head over to Marcel’s Bandcamp page and download his previous albums, you will not be disappointed.